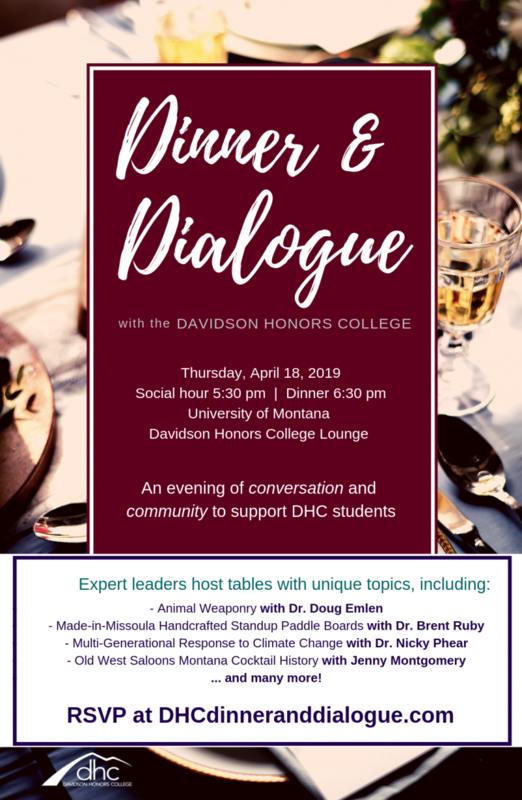 Join us for the Davidson Honors College’s second annual Dinner and Dialogue. 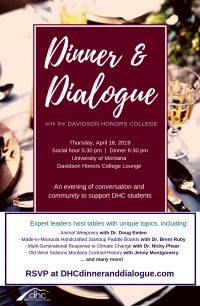 This dynamic evening of conversation and exploration is intended to promote community building and support lifelong learning through intimate dinner conversations led by an expert and supported by interested and engaged tablemates. Each table will host a unique topic of the leader’s expertise. The evening will include a delicious dinner and uninterrupted conversation. Proceeds support the Davidson Honors College Impact Fund which funds student research, career development, and experiential learning.